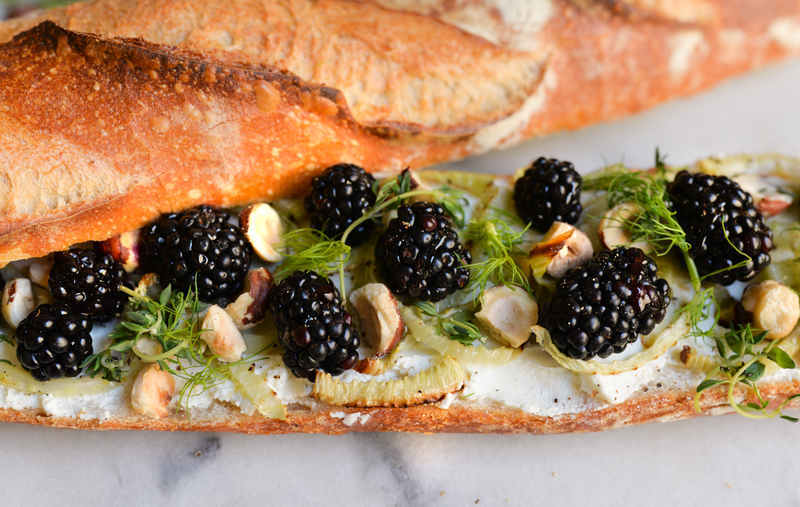 Blackberry season runs from mid-summer through September and at the end of the season they’re best served warmed alongside goat cheese and fennel. 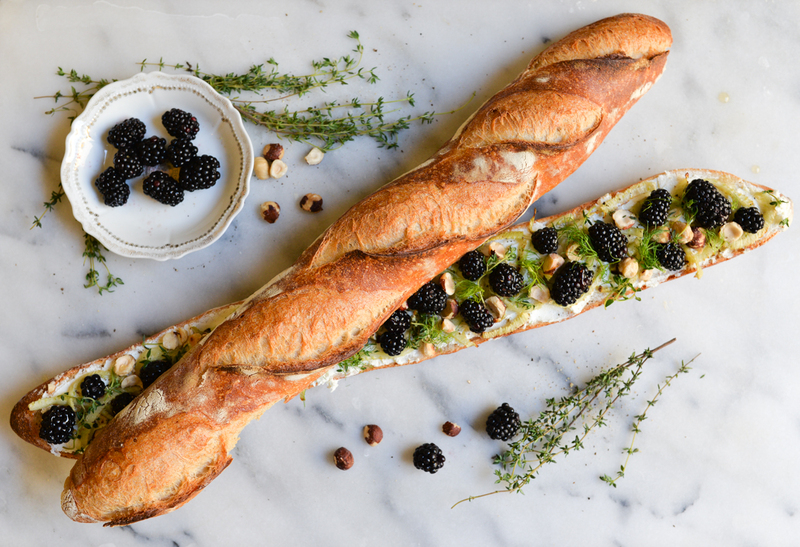 I like the dramatic presentation of this crostini recipe served on a baguette cut lengthwise, but be sure you cut it into individual servings before passing this appetizer amongst your guests! 1. Preheat oven to 350 degrees and cut baguette in half lengthwise. 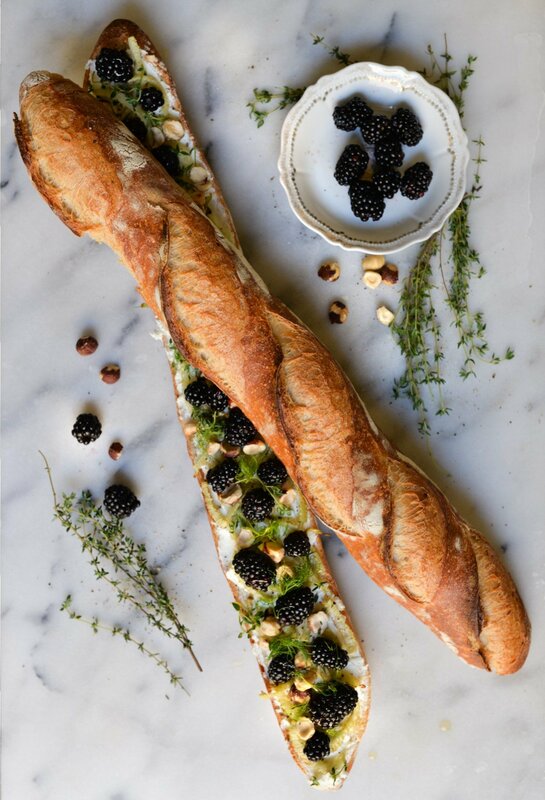 Lightly brush baguette with EVOO. 2. Cut fennel bulb in thin slices, and brush with EVOO. 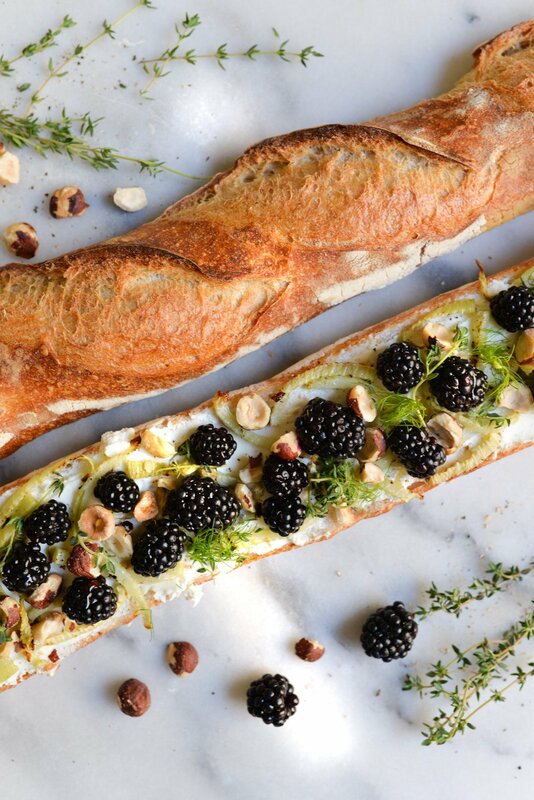 Place both the baguette and fennel slices directly on a lined baking sheet. Toast for 3-4 minutes until fennel has lightly browned edges. 3. Place hazelnuts in a plastic ziplock and bash them with a wooden spoon to break them up a bit. Lightly toast the hazelnuts in a saucepan over medium heat and set aside. 4. 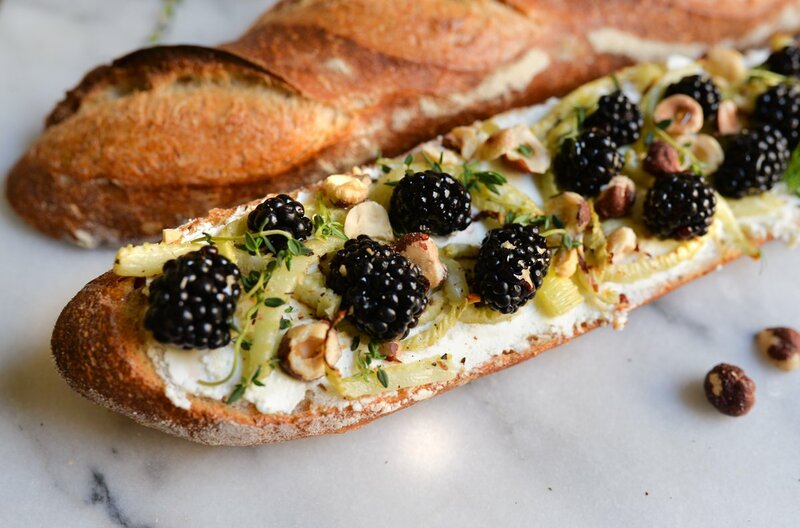 Spread goat cheese on bottom half of warm baguette. 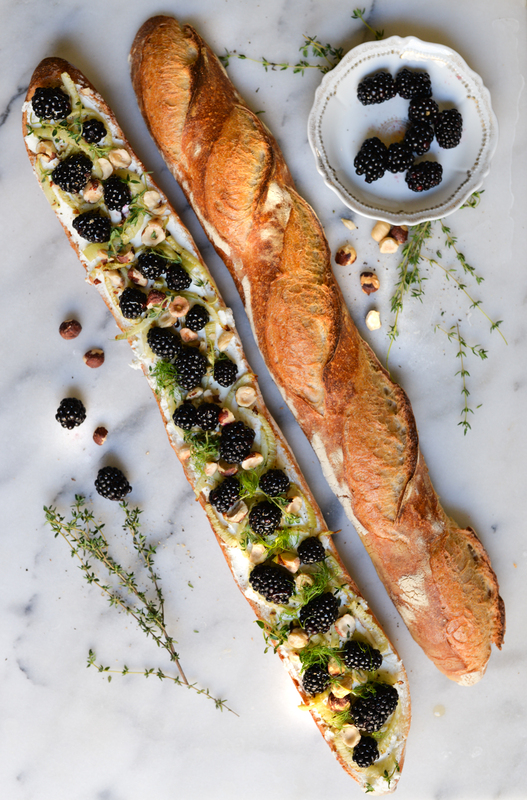 Sprinkle fennel on top, then blackberries, then hazelnuts and lastly thyme. Bake in the oven until the goat cheese is a little gooey and warm. Should take roughly 4-5 minutes. 5. Remove from oven and drizzle with a little honey and some salt and a few cracks of pepper. Enjoy!